Looking for that beer gift with a difference? 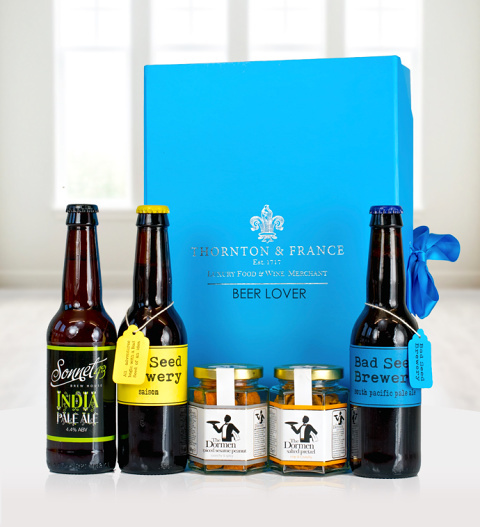 The Beer Lover, by Thornton & France, is a fantastic gift set with 3 beers and 2 jars of Dormans nuts. Perfect for the Lads, Dads and anyone with a thirst for a tasty beer! The Beer Lover gift set is available for UK next day delivery.